With our 23 cu. 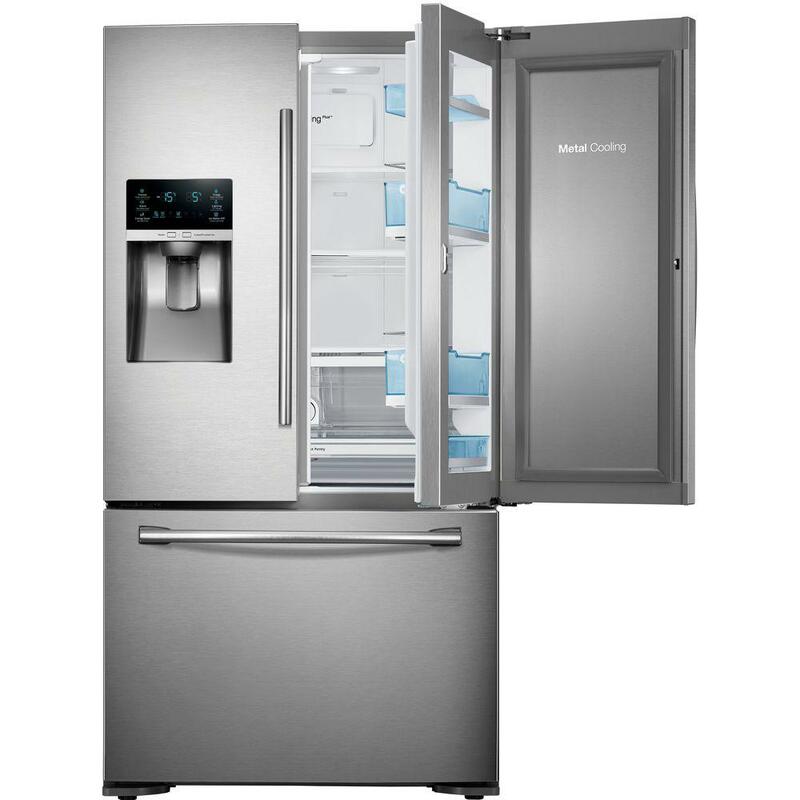 ft. large capacity French Door refrigerator, you can store up to 23 bags of groceries* in a sleek 36"-wide model. The Twin Cooling Plus™ feature maintains both high levels of refrigerator humidity to keep perishable fruits and vegetables fresher longer, and dry freezer conditions means less freezer burn for better tasting frozen foods. LED lighting beautifully brightens virtually every corner of your refrigerator so you’re able to quickly spot what you want. Plus, it emits less heat and is more energy-efficient than conventional lighting. The sleek design saves more space than traditional incandescent light bulbs.